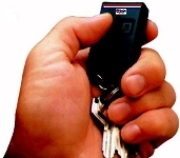 "We Have Assisted In Completing 10,878 Car Alarm Installations "ONLINE" Since 1994, & Counting!" Reverse Lamp : BLK/PNK  HIGH PASS. *"This Is A FREE* Service! Now, What Can We Do For YOU?" If This Form Is Incomplete. Login Into YOUR CARALARMS Mailbox! Sign Up NOW FOR YOUR CARALARMS Mail! Get Your Own YOURNAME@CARALARMS.ZZN.COM ACCOUNT!